We are one of the well-distinguished companies in the market that is into offering Oil Wiper Ring. 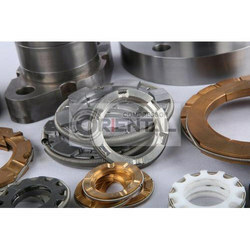 We are a well-renowned organization in the industry to provide our patrons the best quality array of Air Compressor Scraper Ring. We are amid the most noteworthy names engaged in offering to our clienteles an extensive collection of Oil Wiper Ring. 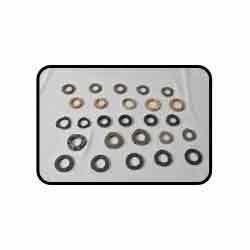 We also offer Oil wiper Rings in a variety of materials including Cast Iron, Bronze, Babitt and Carbon filled teflon. Generous drain slots across the face of the ring facilitate removal of lubricants wiped from the rod. Sumed Offers Oil Wiper Rings manufactured in several designs to suit the Application / Requirement of the Customer. These Rings are manufactured from 100% Pure and various Fillers of PTFE, Cast Iron, Bronze, Aluminum & Stainless Steel Oil Wiper Rings for various rod sizes. Use of tin and lead bronze, PTFE filled grade etc. to perform outstanding abrasion resistance. • Compared with cast iron oil scraper ring, it is given the advantages of short running-in time, sound matching condition with the surface of piston rod, and that it won’t scrape the surface of piston rod.